Following the success of her trip aboard the Nautilus exploration vessel in July 2015, Rebecca Rutstein has been selected from an applicant pool of over 100 artists to travel aboard the Falkor research vessel for her second “Artist at Sea” residency in February, 2016. With the goal of making people rethink the way marine science is shared and breaking down the complexities of ocean research, Schmidt Ocean Institute (SOI) recently launched their Artist at Sea program, and Rutstein is the third to participate. Sponsored artists are asked to work side-by-side with the scientists and Falkor crew to develop art through close and productive collaborations. 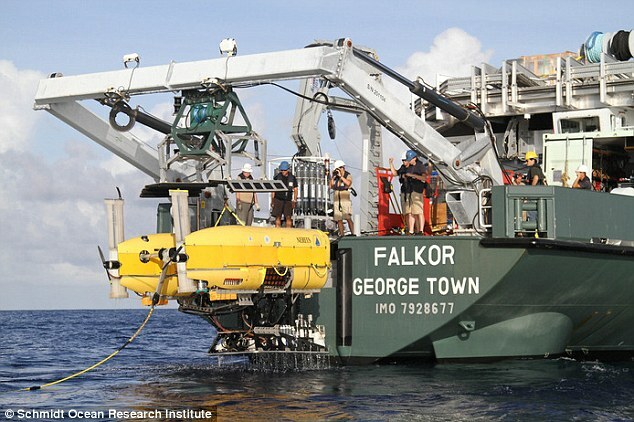 On this cruise, an expert team of scientists including Principal Investigator Dr. Chris German from Woods Hole Oceanographic Institution, will set out to study the geographically isolated submarine vents off the south-eastern limit of the Society Islands in the South Pacific Ocean, which are comprised of volcanically active seamounts that are largely unexplored.